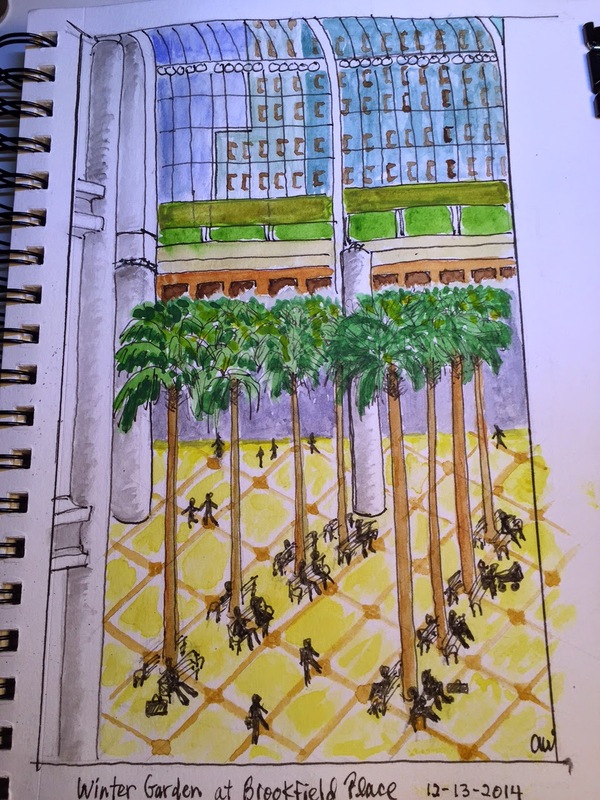 On Saturday, December 13th NYC Urban Sketchers visited the Winter Garden at Brookfield Place, formerly the World Financial Center. The palms trees in the atrium were a tonic for the early winter cold weather we have been experiencing. 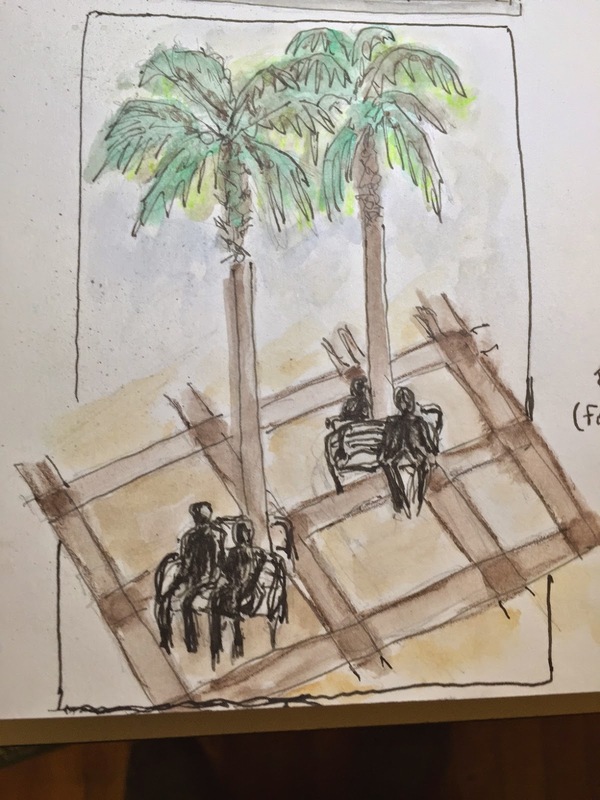 I started off with a quick sketch of some people sitting under the palms. The building and a few of the palms were seriously damaged on September 11th. The rest quickly succumbed to the unregulated temperatures and the loss of the computerized watering system in the damaged space. The palms were replaced in 2002 by sixteen specifically selected from a farm in Florida. Now, Washington palms (species Washingtonia robusta), over forty feet tall fill the ten story atrium of the Winter Garden. After lunch I set about trying to capture the big space with a sketch from one of the balconies. The perspective was a challenge and took a long time get set up with pencil and then ink. I added the water color at home. Later in the afternoon we had a very enjoyable visit to the School of Visual Arts. 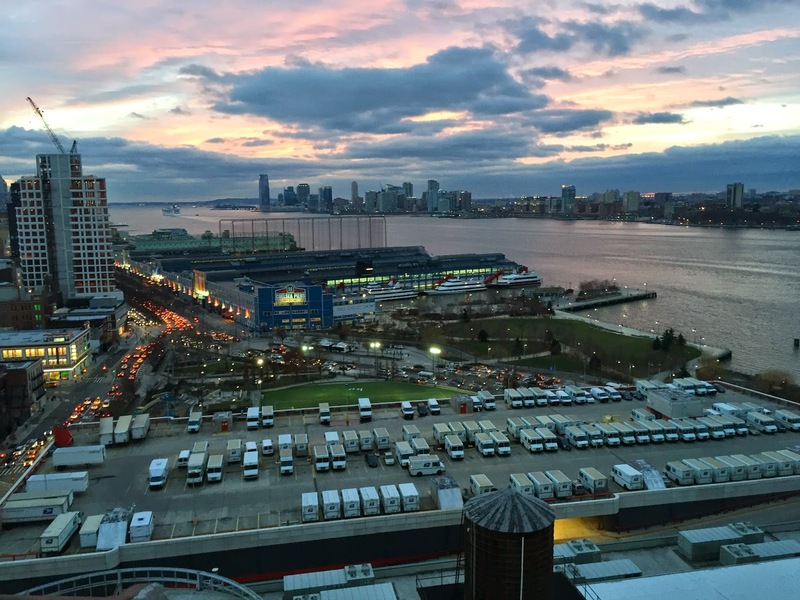 We admired not only the artwork on display but the incredible view of Manhattan from the 15th floor of the school. Thank you, Peggy for setting up such a great day. Both of these are really nice sketches, Alan, and you handled the difficult perspective nicely!!! I love the aerial view of the Wintergarden.